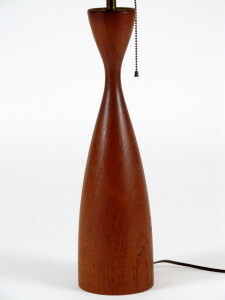 An early turned wood form by Berkeley California wood turner, Bob Stocksdale. His earliest commercial pieces were done in the late 40′s, starting to sell at Gump’s in SF around 1946. 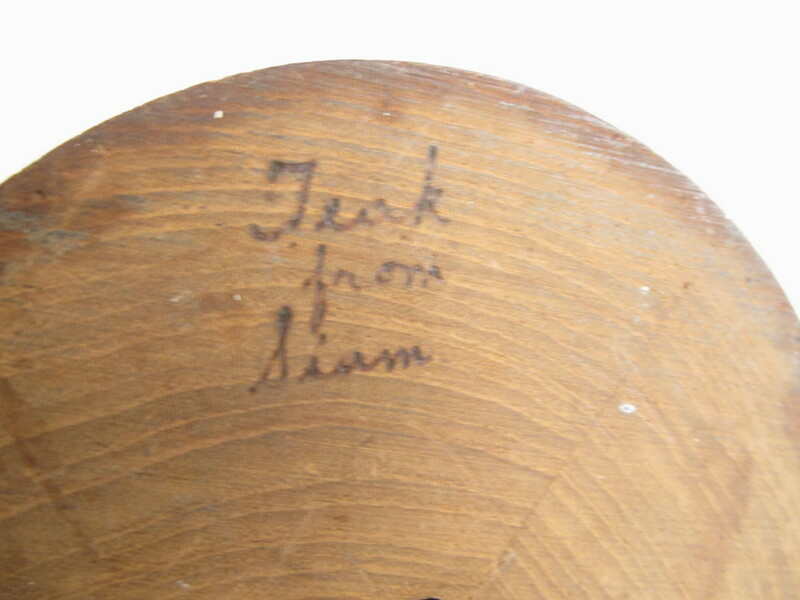 He identifies the wood as teak from Siam, as it was still called until about 1949. 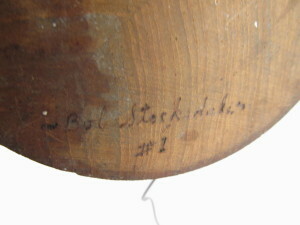 Signed on the bottom: ” Teak from Siam ~Bob Stocksdale~ #1. 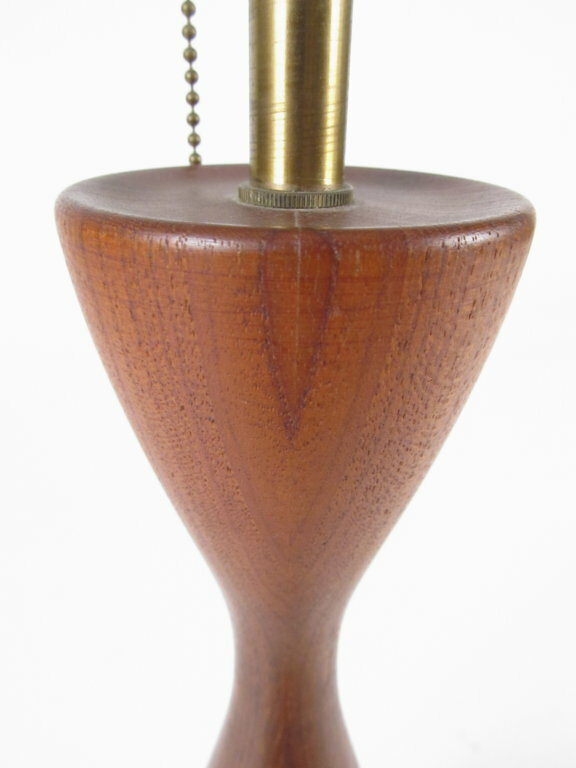 ” Height to the top of the teak is 18″. 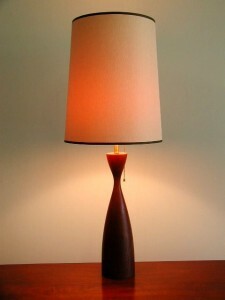 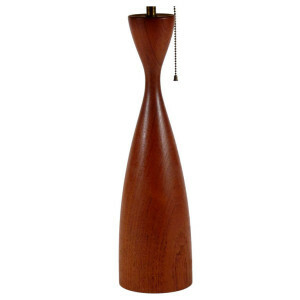 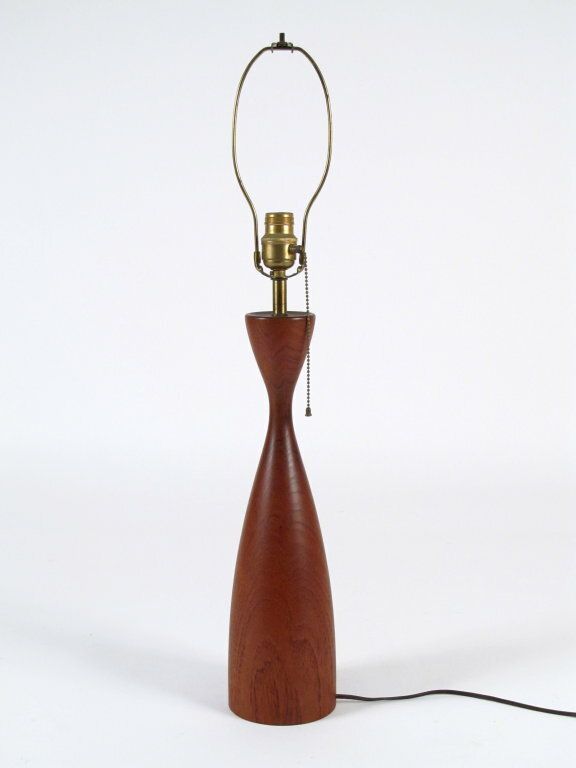 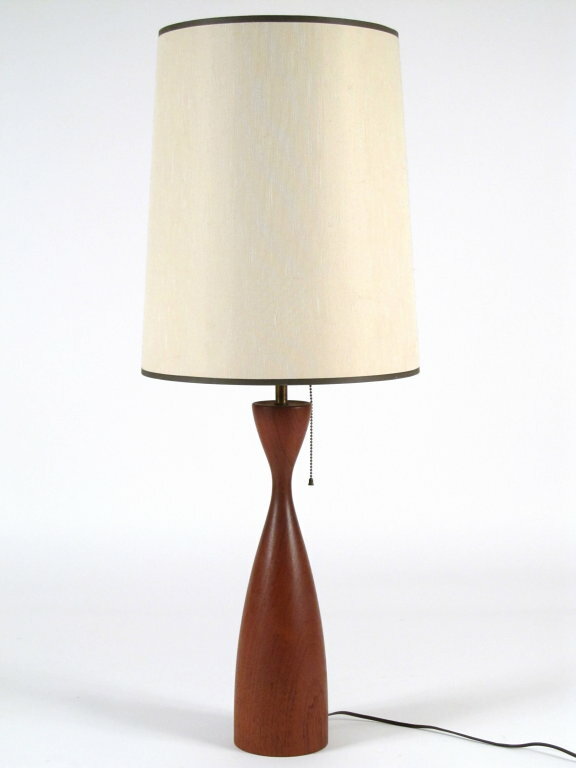 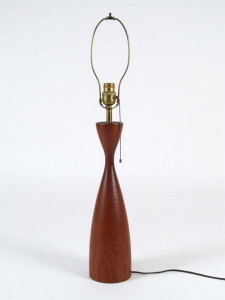 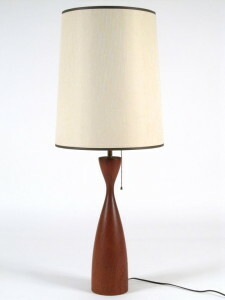 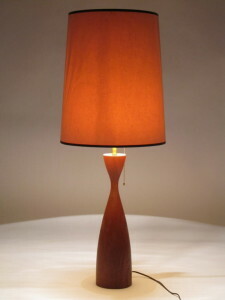 A rare and beautiful table lamp by the Berkeley California master artisan.